The Turtleneck Poncho layers effortlessly over any outfit, keeping you warm on planes and in cold restaurants. And, just like our classic wraps, these sweaters are washer and dryer safe. Who doesn't love a low maintenance mate? It's stylish enough to wear to work and versatile enough to throw in your carry on. 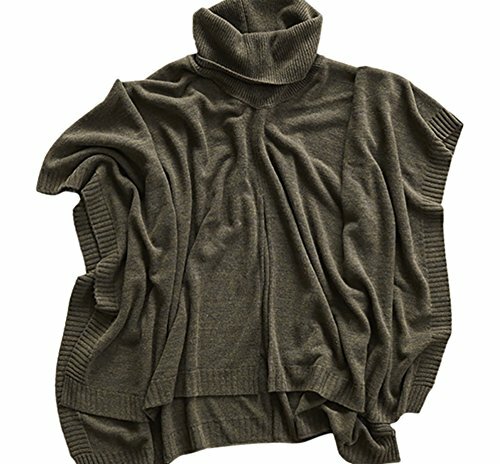 Split front, large fold over turtleneck, flowy fit. If you have any questions about this product by Mer Sea, contact us by completing and submitting the form below. If you are looking for a specif part number, please include it with your message.